When will my visits be available for payment? Will Survey.com send me a 1099? 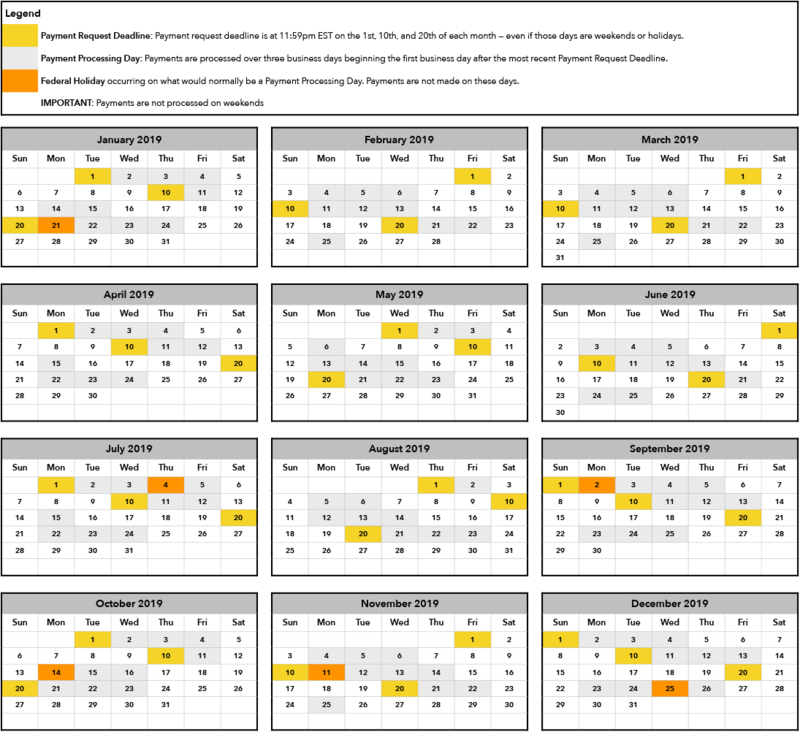 Click here for a printable payment calendar and payment schedule. Survey.com processes payments three times each month. Each pay period begins the business day after the Payment Request Deadline and spans three business days. Payment periods are occasionally extended due to volume. If the payment period is extended we will let you know by email. The Payment Request Deadlines are 11:59pm EST on the 1st, 10th, and 20th of each month. Those dates and times are the deadline even if they happen to fall on a weekend or holiday. We process payments throughout each day of the pay periods, right up until 11:59pm EST on the end date. We're unable to provide the specific date or time that the payment will transfer - just the three day window. The schedule below shows every pay period for 2019. The pay period deadline is listed in the left column, while the middle and right columns indicate the processing window for each pay period. *Business days don't include weekends or holidays. Here's a payment calendar view. Click here for the full-size image.